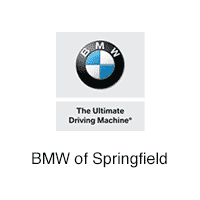 There is a very good reason why BMW of Springfield is now the largest BMW replacement parts provider in Springfield Township and the second largest in BMW’s Eastern region (encompassing 11 states). Easy to order by phone, fax, e-mail, or internet. Updated delivery fleet to provide consistent and reliable daily deliveries. Installation instructions for any part you order. Most current replacement parts in our inventory. Associated parts necessary for a proper repair. We are constantly expanding our business to meet your business needs. Let us be of assistance to you in your BMW repairs. You can repair a BMW without using Original BMW Parts, but you cannot repair your reputation. For Quick Questions, please contact BMW of Springfield’s Wholesale Division at Wholesaleparts@bmwofspringfieldnj.com. BMW of Springfield	40.6843693, -74.3342776.